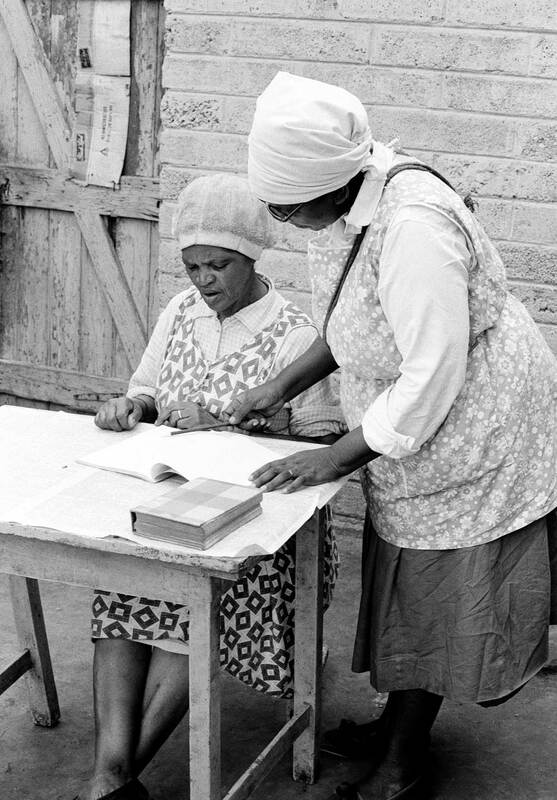 Mrs L Radebe, Lady Archbishop & Prophet of the Bantu Bethlehem Christian Apostolic Church of SA (1) with one of her patients. Mrs Radebe is discussed extensively in Chapter 6 of Martin West, Bishop s & Prophets in a Black City, pp 94-124. She is referred to as Mrs M R.
West, Martin, “BBCAC prophet-healer Mrs Radebe with patient,” Martin West, accessed April 20, 2019, http://www.martinwest.uct.ac.za/items/show/10468.